The newest black ops team of the Marvel universe is back in a very different way. This time the Secret Avengers are controlled by SHIELD rather than by members of the Avengers as was the case previously. 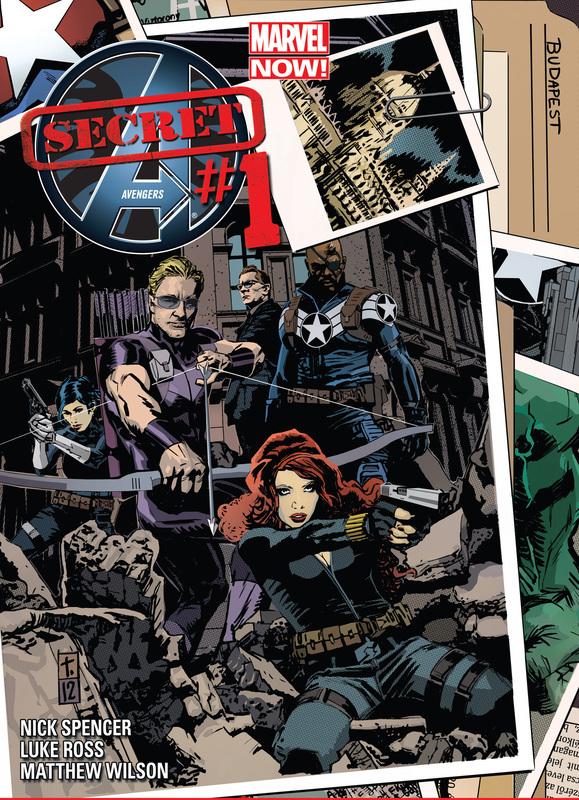 In this incarnation Acting Director Hill sends Hawkeye, Black Widow, and a new Nick Fury to take down a weapons dealer who has gotten hold of some teleportation technology. While the team does have a rocky beginning, they start working together to beat down some bad guys. The last series left the team pretty beat up and unlike X-Force they really did dissolve their group due to the conclusion of that last mission. This story gives us a look at SHIELD in this new era and they are exactly the same: super manipulative and unethical. One addition to the team is Phil Coulson best known from the Marvel movies but fairly new to the comic universe. He is written as a true SHIELD agent rather than as the nice guy he is in the movies. 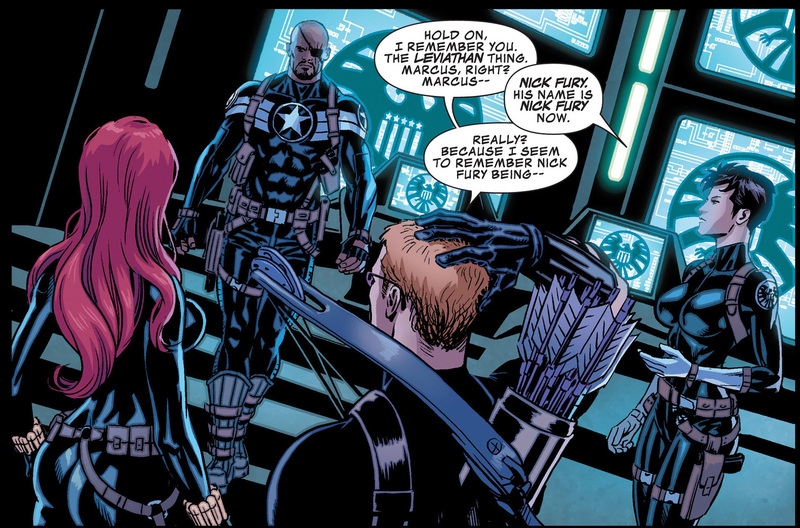 This was a good choice because anyone with a moral compass would likely not work for SHIELD. This first issue is a stand alone story that is used to explain the origin of this new team, which is perfect for an issue one. The artwork is really crisp and up to the standard set by other Avengers titles. Overall the characters look good and match their current designs. The background designs are dark and work with the tone of the story. They are a little undefined, but this has a more spy/noir feeling to it and that can be excused due to how well the characters look against the darkly shaded backgrounds. The action is also well done for the most part. Some sections are cut short to get to the back-story, but that is not the fault of the art staff. It will be good to see more extended actions sequences in later issues. However, if you comic preference is for brighter settings the art may not appeal. This title will not be for everyone. The current team roster is only three characters and how the team is put together will bother those who think of SHIELD is made up of “good guys”. This title sets up the moral ambiguity of the unit, which is needed for a black ops themed series. 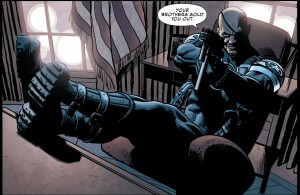 This issue also secures Marcus Johnson as the current Nick Fury settling the dispute over what Nick Fury looks like. Despite all the good in this book, it may be a difficult transition for movie-verse fans to get into the story as it makes reference to events from previous books and the characters personalities and motivations are not in line with the movie version and remain true to the comic world. However, it is much better than the current run of Uncanny X-Force which has very sloppy writing and major character personality shifts. If you want to see some Marvel-verse black ops you can’t go wrong with this book, if you want less moral ambiguity in your hero stories then there are plenty of alternatives. 3 out of 5 – A good story building into something “hopefully” great.